Jason Statham is back on theatres featured in the movie 'The Meg' released in United States and China on August 10, 2018. Jason Statham starring as Jonas Taylor in the movie, 'The Meg' plays as role of an rescue diver who has to save group of scientists and the crew in sunked submersible caused by what he claims as a 70 feet huge shark named Megalodon from the bottom of the ocean.The Meg is a Science fiction horror movie based on the book Meg: A novel of Deep Terror written by Steve Alten and published in 1997. initially, the right to the novel were acquired by Disney's Hollywood Pictures in 1996. The project delayed and rights were reverted back to the book's author, Steve Alten in 1999. 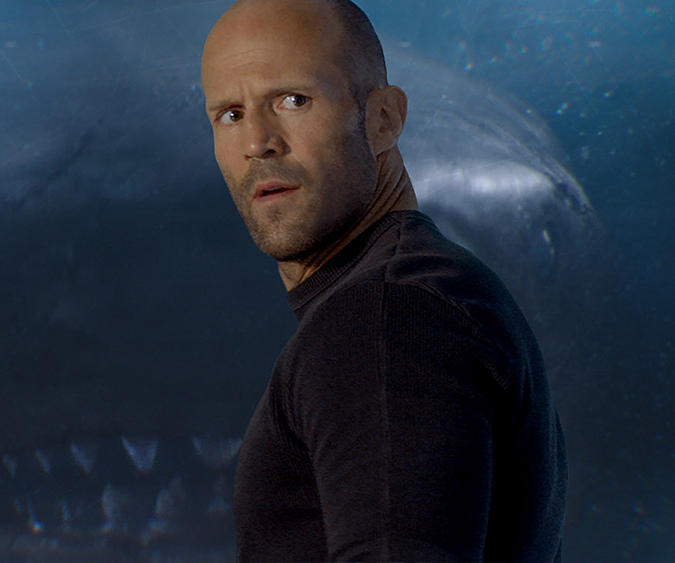 New Line Cinema started the Meg project in 2005. But the budget concerns cancelled the production again. Acquiring the rights in 2015, Warner Bros started making the movie under the direction of Jon Turteltaub in early 2016. Other Cast of the movie, 'The Meg' are Li Bingbing as Suyin Zhang, Rainn Wilson as Jack Morris, Ruby Rose as Jaxx Herd, Winston Chao as Dr. Minway Zhang and Cliff Curtis as James "Mac" Mackreides.The first official trailer of the movie was released on YouTube on April 9, 2018. The Meg hit the theatres in 3D and IMAX.The Meg is released in theatres alongside Slender Man and BlacKkKlansman in USA.BlackKkKlansman is a drama based crime movie directed by Spike Lee under the Blumhouse Productions featuring John David Washington, Adam Driver, Laura Harrier Jasper Paakkonen, Topher Grace and other. Whereas Slender Man is a Supernatural Horror based movie released alongside The Meg and BlacKkKlansman. the movie is directed by Sylvain White starring Joey King, Javier Botet, Annalise Basso, Jaz Sinclair, Julia Goldani Telles.